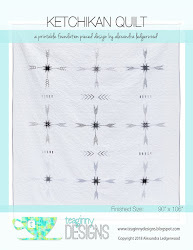 I'm in just one online quilting bee right now: Bee Lovely. It's nice to have a single block to complete each month. In October we made mod mosaic blocks according to Elizabeth Hartman's tutorial. 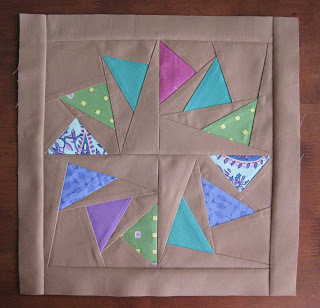 It was easy, improv piecing. Fun. 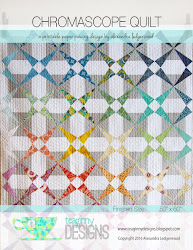 In November, Briana asked us to make flying geese blocks for her sampler quilt. She let us pick our own layout. 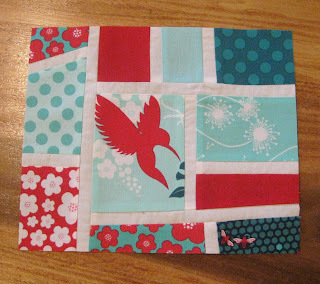 I had been wanting to try the circular flying geese block. I'm glad I tried it, but I don't think I'll be doing it again anytime soon. 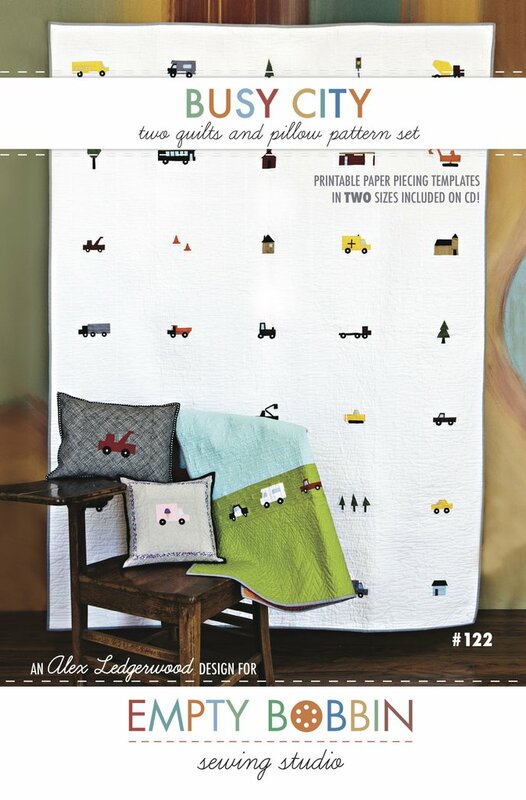 :) A tutorial and paper pieced pattern can be found here. You'll want to measure your template to be sure your printer has printed it to scale, if you want to end up with a 12.5" block. I didn't, and apparently my printer made the templates smaller. I added some borders to get it to be the right size.